Birmingham is a writer's city with a long tradition of distinctive literary subcultures. Long-established novelists such as David Lodge and Jim Crace have spent most of their writing lives there, and the city continues to support and inspire a new generation of voices. 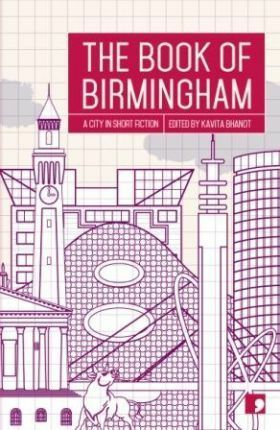 Bringing together fiction from some of the city's most talented writers, The Book of Birmingham showcases and celebrates original and unusual writing, in all its forms. Kavita Bhanot grew up in London, lived for many years in Birmingham, then moved to India, where she directed an international literature festival and helped to set up India's first literary agency. She recently completed a PhD at Manchester University, in Creative Writing and Literature. Her short stories and non-fiction have been published in anthologies, magazines and journals, two of her stories have been broadcast on BBC Radio 4, and she is the editor of the short story collection Too Asian, Not Asian Enough (Tindal Street Press, 2011). She is a reader with The Literary Consultancy and a regular book reviewer for The Independent.